Celebrate the holidays with a sweet little manger scene in the amigurumi style. 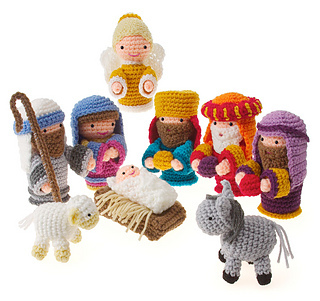 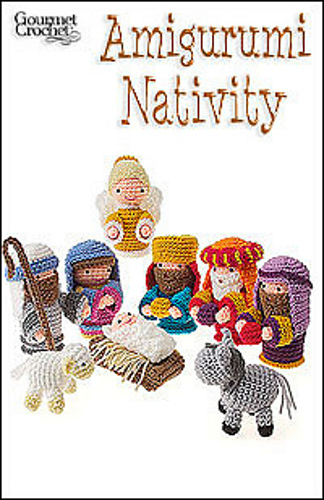 Made with worsted-weight yarn, this set includes Mary, Joseph, baby Jesus, angel, three wise men, and animals. 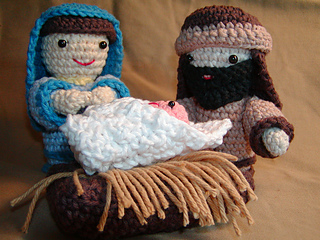 Standing figures are about 6” tall; animals are 3 1/2”=4” tall, and baby in manger is 2 1/2” x 4”.